then going for a personal best in the Disneyland 10K. I don't know what I enjoyed more during the Disneyland Half Marathon Weekend. 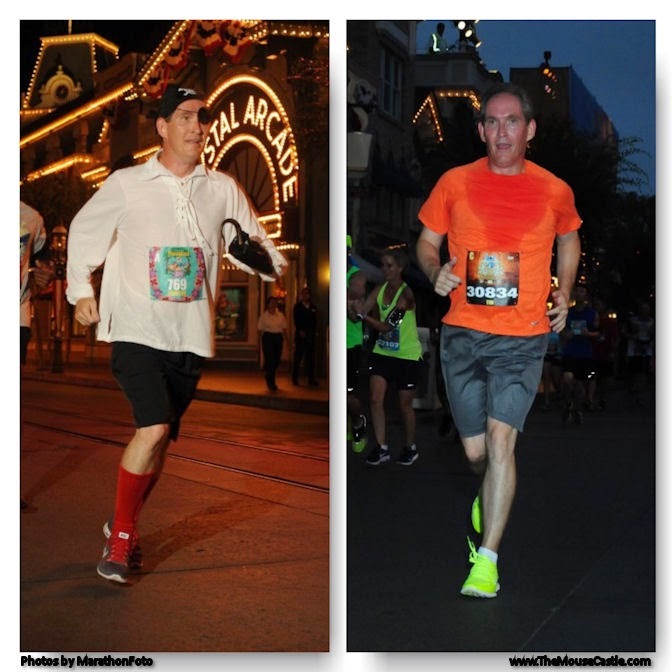 Running my first ever events--at Disneyland!--on consecutive days (5K on Friday, 10K on Saturday) or just covering the weekend's festivities and chatting with people who are as passionate about Disney as they are about running. Let's call it a draw. I'm happy to welcome four awesome guests to The Mouse Castle Lounge. Whether you're a runner or not, I think you're going to enjoy what they have to say about fitness, reaching goals, camaraderie and the runDisney experience. One guest is an award-winning actor and film maker (and a previous guest in the Lounge), one is a fitness expert and former Olympian, one is the women's division winner of the Disneyland Half Marathon, and my final guest is an artist and former Disney Imagineer who never thought she'd be able to run as an adult. Actor and film maker Sean Astin. 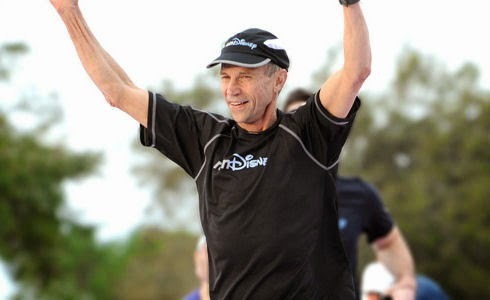 runDisney training consultant Jeff Galloway. with her medals and post-race libation. It's all about fun, fitness and following your dreams in this edition of The Mouse Castle Lounge. Enjoy! Subscribe to The Mouse Castle Lounge on iTunes and Stitcher.